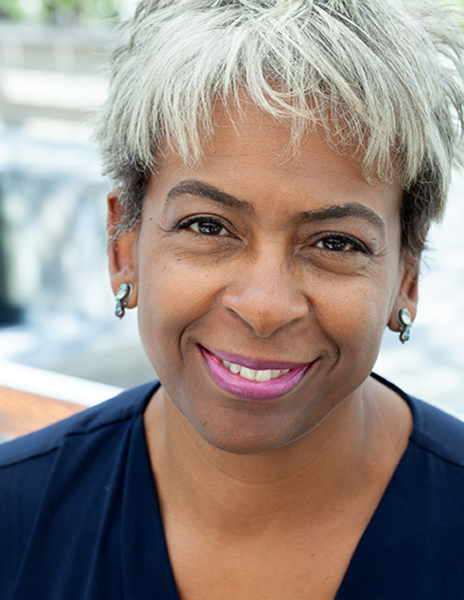 Phyllis Owens has over 20 years of progressive management experience in international philanthropy, media and communications, strategic partnerships and planning. She is passionate about using innovation and design thinking to address social issues, and leveraging business resources to serve the common good. Currently, Phyllis serves on the Board of Directors of Project Redwood, a nonprofit partnership and social venture initiative. Previously, Phyllis held leadership roles at American Public Media, where she was Commentary Editor for award-winning business news and global finance programs Marketplace, Marketplace Morning Report and Marketplace Money. She is also an entertainment industry veteran, with roles that included story consultant and Vice President of Creative Affairs for producer Kathleen Kennedy and director Frank Marshall. A native of Los Angeles with extensive local ties, Phyllis volunteers with the LA Task Force of Harvard Serves and is a member of the LA Funders Collaborative. Phyllis holds an M.B.A. from Stanford University and an A.B. degree with honors in Psychology and Social Relations from Harvard University. An avid book club member, jazz fan and improvisational cook, she practices martial arts with Be Like Water Tai Chi.